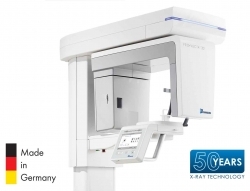 Melville, NY, February 26, 2019 --(PR.com)-- Air Techniques, Inc., a leading innovator, and manufacturer of dental equipment, today announced the newest addition to its ProVecta family of digital X-rays, the ProVecta 3D Prime. This new imaging system provides 2D and 3D images combined with the power of VisionX software. For more information on Air Techniques, please visit www.airtechniques.com. Become a fan of Air Techniques on Facebook and follow the company on LinkedIn, Twitter and Instagram.